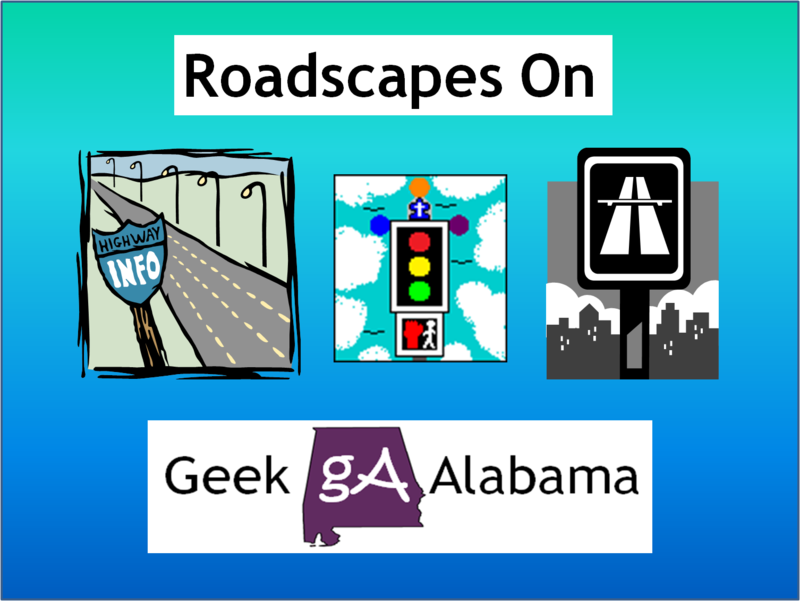 This week on Roadscapes Wednesday, I am featuring five brand and spanking new road drawings! 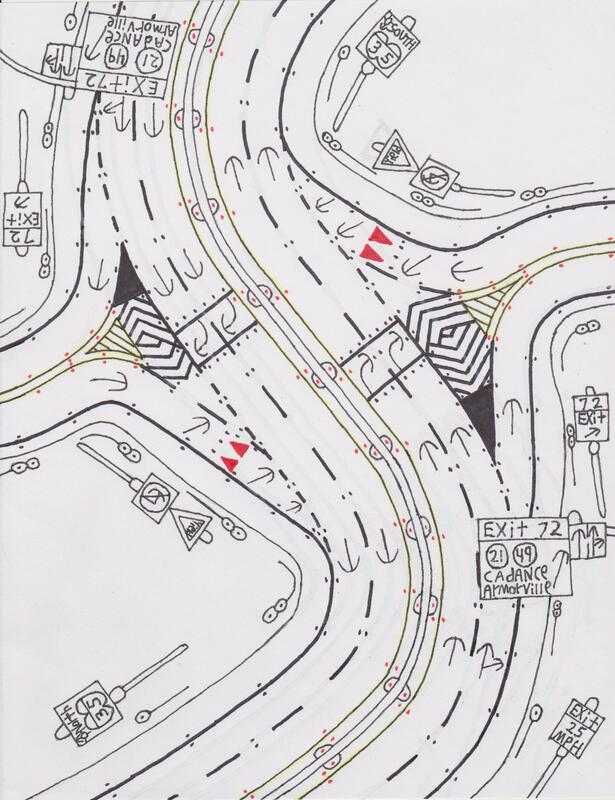 Yep, all five of these road drawings feature something different. The first drawing is a lane control setup coming to an end. 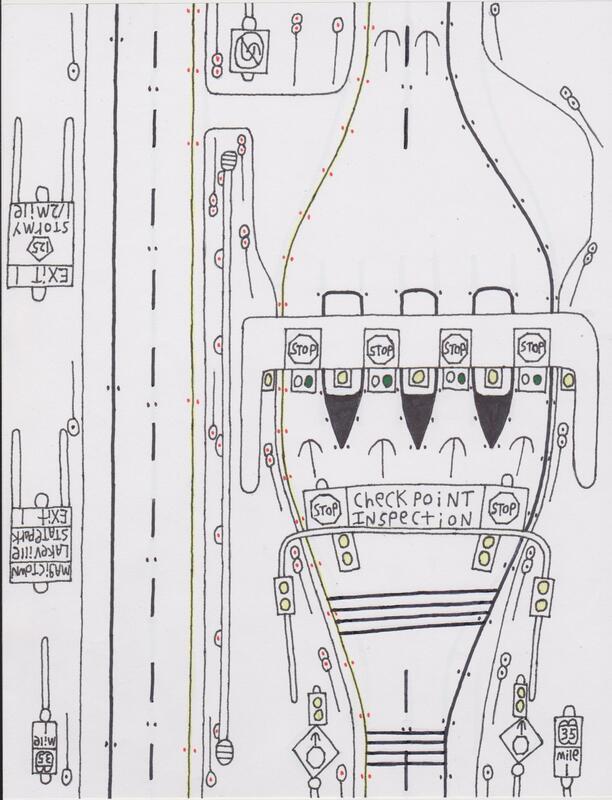 The second drawing features a freeway border inspection and checkpoint. 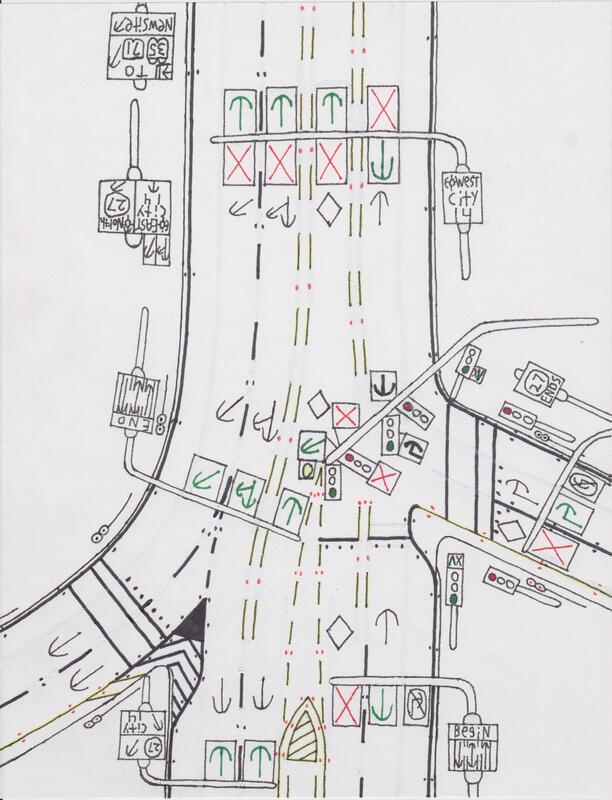 The third drawing features an unique intersection where the main road does not interact with the side road. 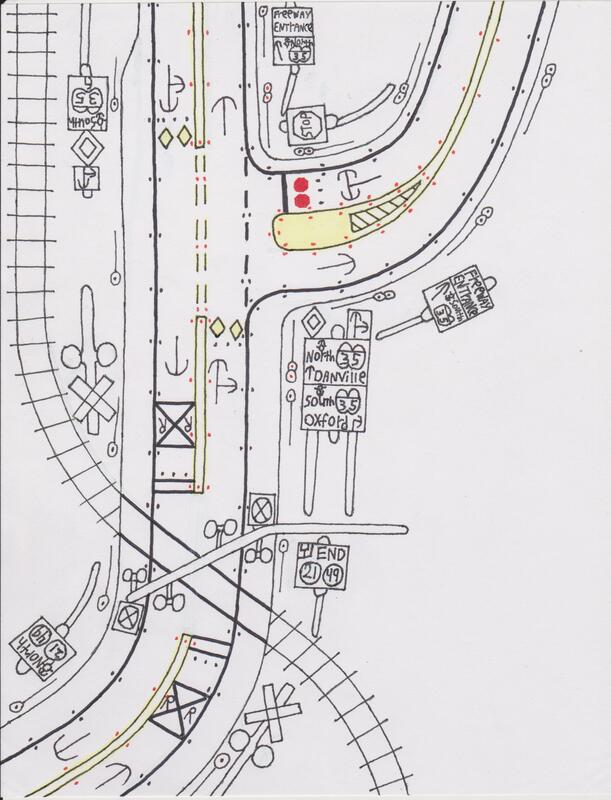 The fourth road drawing features crossing a railroad track and being at a freeway junction. 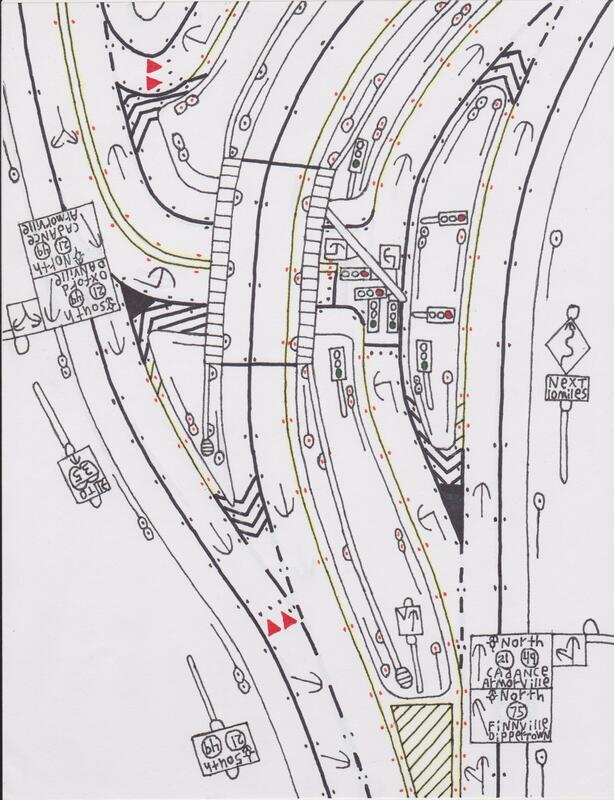 And the final road drawing features a freeway interchange on a curvy and mountain road. I hope you enjoy my handy work. And if you want to know how I draw these, just click on the road drawings tab up top!